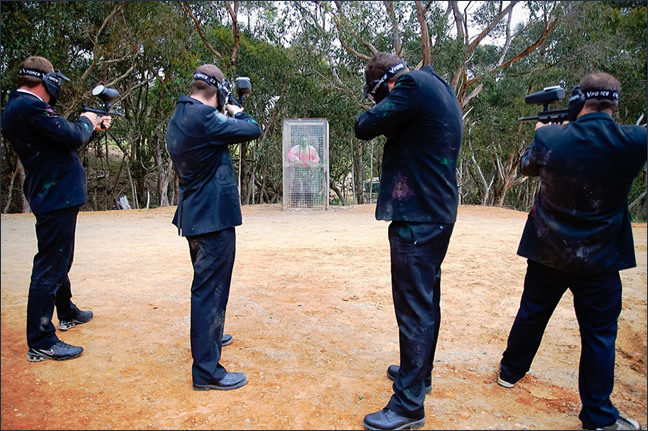 Start your buck’s night events off with a bang at Paintball Sports Kuitpo – Adelaide’s & South Australia’s biggest buck’s party paintball park. Pelt the buck with paint. Then, batter him some more! And for a totally insane grand finale, put him in the “Bucks Cage” and unleash hell fire on him (don’t worry it’s a totally safe but adrenaline packed experience). Get all the boys together for competitive, adrenaline pumping, buck’s parties events. After you’re done shooting each other with paint, you can re-live your glories with a BBQ and drinks. You can use our popular BBQ facilities free of charge. Do you know what makes for great buck’s night ideas? A buck’s party at Paintball Sports. Come in and make great memories for a lifetime. Don’t spend the second most important day of your life anywhere else and risk being bored. 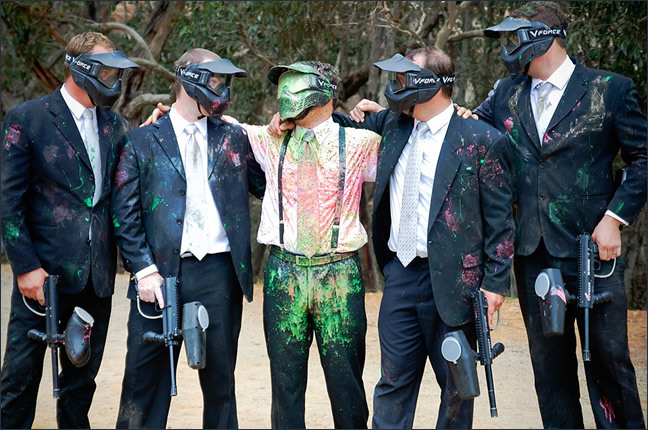 When you are in need of amazing buck’s parties ideas in Adelaide, come to Paintball Sports Kuitpo – Adelaide’s most popular buck’s night destination. It’s so easy to organise. Just book online now to select the date you want, and then spread the word around about the big day. And as the organiser you (or the Buck) can get to play free of charge! 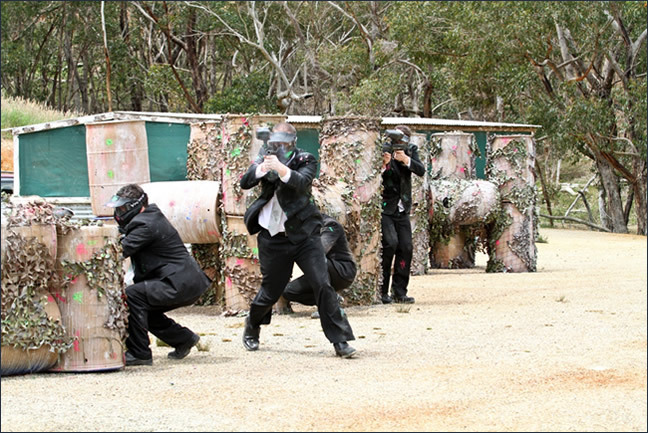 If you are looking for buck’s party or buck’s night activities in Adelaide then call Paintball Sports now on 1300 791 035.